A worker found a newborn boy's body on a conveyor belt at a recycling facility in Stamford Tuesday. Lori Bordonaro reports. The body of a baby boy was found at City Carting and Recycling, a trash and recycling facility in Stamford, Tuesday morning and police are investigating. 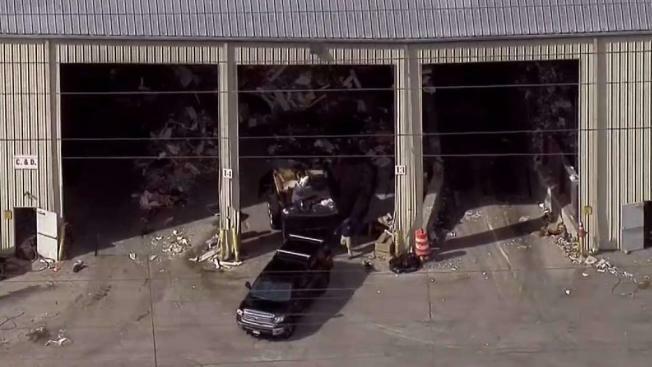 Police said workers at the facility located at 61 Taylor Reed Place found the body of a full-term newborn baby boy at 8:39 a.m. as they were processing recycling and immediately notified authorities, according to police. Authorities are investigating and determined that companies that operate in Greenwich, Conn., Stamford, Conn. Somers, New York, the Oyster Bay area of Long Island, New York, and Andover, Mass. dropped off recycling. A team from the state office of the chief medical examiner will investigate. Connecticut has a safe havens act for newborns, which allows a parent to voluntarily give up an infant who is up to 30 days old to the nursing staff of an emergency room and not be subject to arrest for abandonment. No additional information was immediately available. Check back for updates.